Who doesn’t love going to the movies? Besides providing an endless stream of entertainment, movies are a great source of travel inspiration, giving us a glimpse of the world without ever leaving our couches. But every so often, a movie hits the screens that will scare the bejesus out of you, making you reconsider, if perhaps, it might be just better to stay home for the holidays. Remember Jaws? It took me months to get the guts to step back into the water. Similar to the oceans, camping in the backcountry is wrought with endless mystery, potential dangers and for the things that go bump in the night; some actual, and others just the persistent hauntings of an overactive imagination. The quintessential backcountry horror adventure. To this day, this 1970’s Burt Reynolds’s helmed movie still manages to resonate and give even the most stalwart adventurer a moment of pause. What starts out as a buddy flick with the typical camping, hunting, and rafting quickly morphs into a “run for your life from murderous lunatic inbred hillbilly killing machines,” a la the more recent The Hills Have Eyes. Basically, anything that can go wrong does go wrong. There is a particularly jarring scene involving two men and the sound of a squealing pig. If you don’t know what that means, you’ll need to watch the movie. In 1999, the world was introduced to the found footage genre of films. 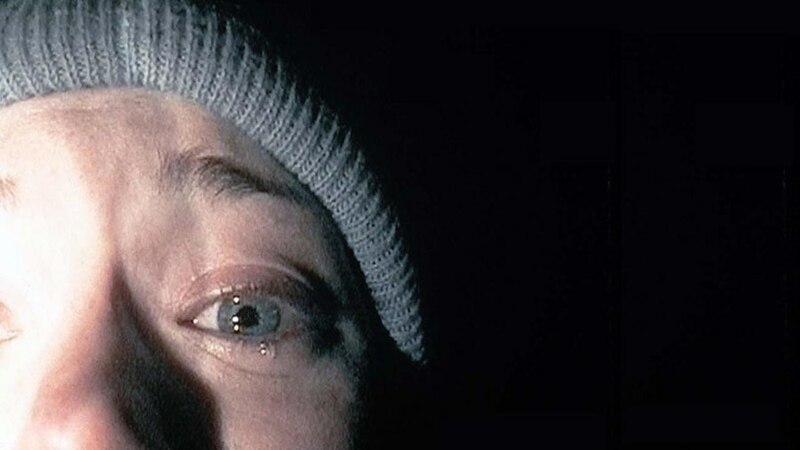 Love it or hate it, the Blair Witch reinvented entertainment. At the same time, a legion of backcountry enthusiast suddenly decided to stay close to home and opt for beaches and Disneyland. Apart from the shaky camerawork, and imperceptible grainy darkness, the pervasive theme of witchcraft, human sacrifice, and eerie children’s laughter weaves a scary enough mythology that will keep most from venturing too deep into the wilderness. The message: Never disturb cemeteries, and best steer clear of anywhere that has coffin in its name. Usually you needn’t ever fear running into witches or anything supernatural while camping in the backcountry, but bears, well, that’s a whole other story. Although extremely rare for wild bears to go on the rampage, it does happen and Backcountry gives us a peak into that most primal of fears. After watching the movie, you’ll probably be more likely to stick to the zoos to view wildlife rather than head into bear country. A cautionary tale of the dangers that exist in the wild. Following the same formula as many campy teen horror movies, The Cabin In The Woods ultimately stands on its own reminding us that we all may just be pawns of a larger conspiracy – monsters, evil supernatural forces, mythology this movie has it all. The Cabin In The Woods is an enjoyable weekend flick to watch within the comfort of your home, but surely not before heading out into the backwoods far from any rescue. When the Evil Dead remake was released, I could almost hear the collective cheers from the legion of Bruce Campbell fans. But whether you are a fan of the original or the remake, both versions will terrify you with its endless stream of blood, gore and demonic possessions. Don’t watch this movie if you’re easily scared. The Evil Dead pulls no punches as it unsparingly throws in all the horror stereotypes of its genre. The message: If you happen to come across an old dusty book bound in skin, leave it alone. As though having a broken down car in the Australian Outback isn’t bad enough, pepper in a sociopathic serial killer with too much time on his hands, and you now have a nightmare to end all nightmares. Wolf Creek is definitely not your typical backcountry movie. Everything starts out innocuous enough, but quickly ramps into a terrifying reality of how it feels to be prey. Worst of all, Wolf Creek is loosely based on a true story. I know…my thoughts exactly. This movie will definitely keep you on the roads and out of the woods. The message: stranger danger, stranger danger! Even billionaires need some survival skills in the backcountry. 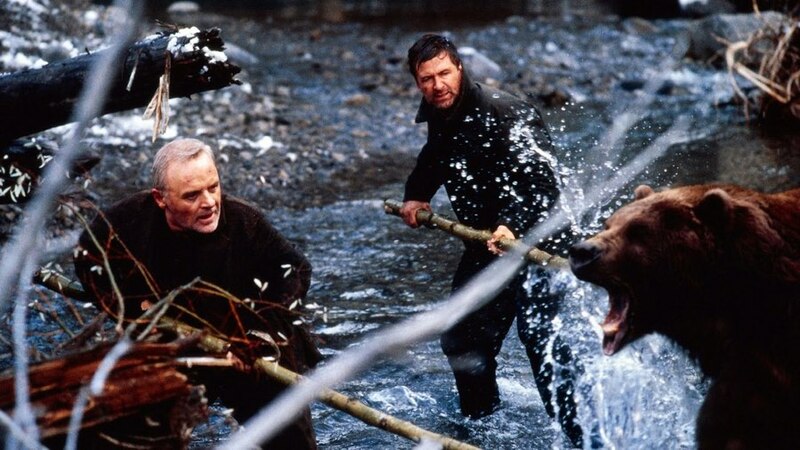 A photo shoot gone wrong, 3 men find themselves at the mercy of Mother Nature, while also being hunted by a massive Kodiak bear. The movie stresses multiple themes, but none more so than survival. After watching this, you may start thinking trust is an overrated commodity. The message: Be prepared both mentally and physically and choose your companions wisely. 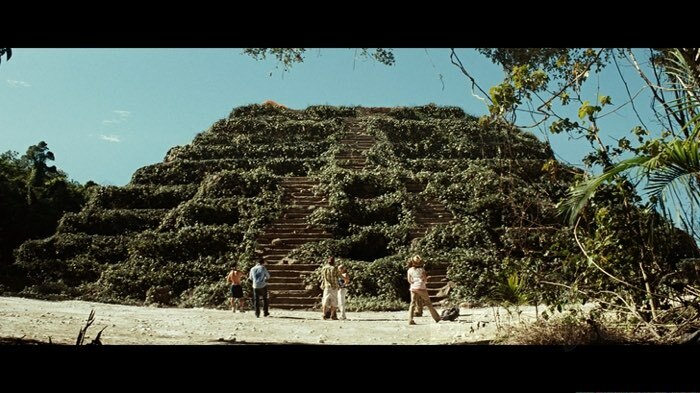 Ancient temples, obsessed Mayan protectors and killer sentient plants – that’s pretty sums it up. Definitely not your typical backcountry scenario, nor a particularly ingenious storyline, but the movie’s still provoking enough to give you pause. It successfully taps into that inherent fear of the unknown, crazed locals, and even throws in a good dose of ancient mythology and curses. I doubt the movie will keep you from any temples or ruins, but I’m sure you’ll think twice before deciding to step off the beaten path. The message: Plants can kill! For over two decades Jason Voorhees has chopped, strangled, and wrecked his way into our collective nightmares. The unstoppable, supernatural juggernaut, who haunts the fictitious Crystal Lake campground, has scared generations of boy scouts and campers, keeping them huddled around the campfire while wrapped tightly in their sleeping bags. 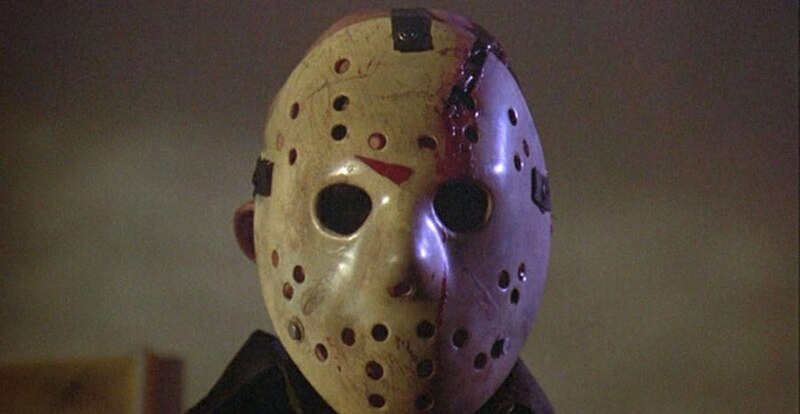 Any of the Friday the 13th movies will have you reconsider camping as a recreational only activity. Paradise is not always what it seems. Don’t be fooled by Hawaii’s gorgeous scenery and idyllic hideaways, this getaway is anything but perfect. Taking identity theft to a whole other level, this movie has you second-guessing and questioning the motives of everyone, and in the end you may never trust anyone again! 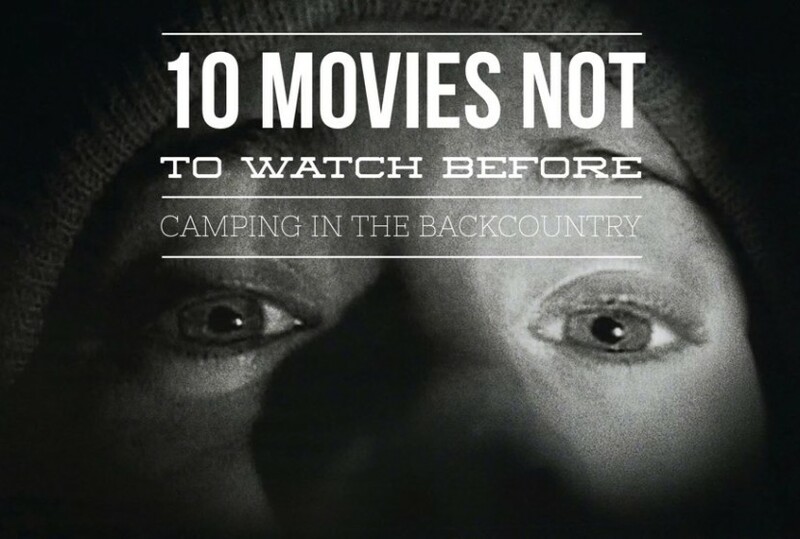 What are your 10 movies to avoid before camping in the backcountry?